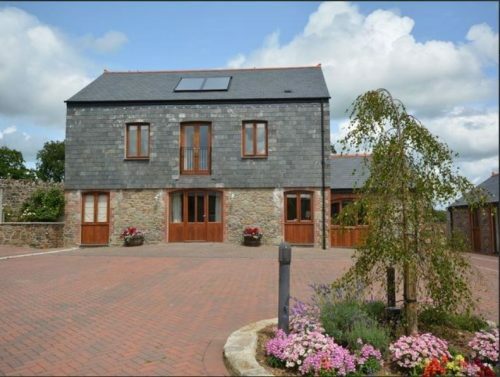 Highland Barn is one of four converted properties. It has the living area upstairs and the bedrooms downstairs. 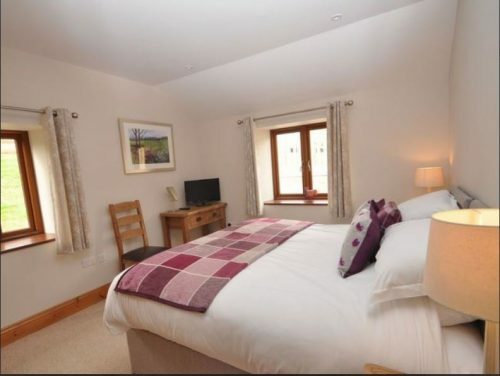 It sleeps 8 people in 3 double rooms and one double/twin. 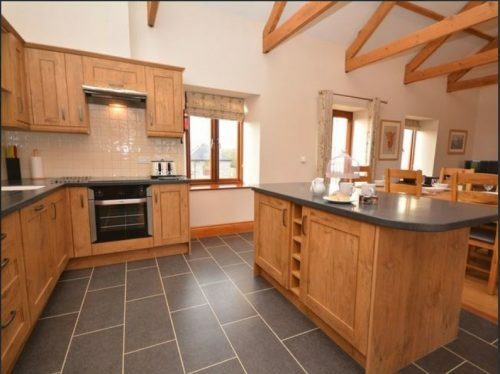 The upstairs is open plan and takes advantage of the glorious country views. 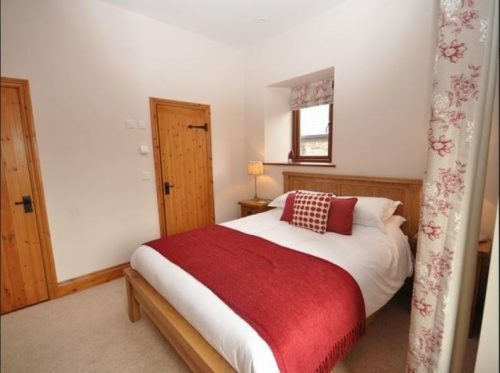 Two of the bedrooms have their own en-suites and two share a separate bathroom. The double/twin is a zip and link super king size. Outside you will find a private patio area with furniture and gas barbeque. 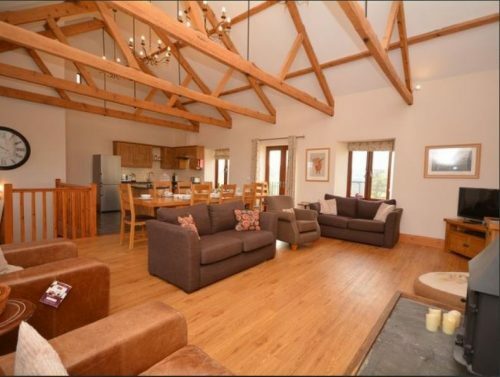 Off peak, this property has a special offer for parties of 6 or less with reduced price weekends. There is a shared play area outside with trampoline, slide and equipment for ball games available on request. Too book Highland Barn, click HERE.